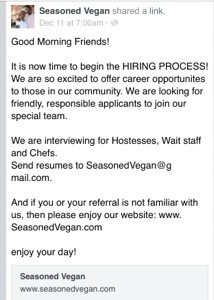 Seasoned Vegan in Harlem now hiring | HarlemGal Inc. 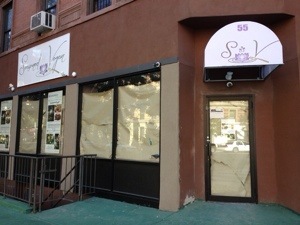 This entry was posted in Bars, business, Community, drinks, food, Harlem, Harlem bloggers, Harlem blogs, Harlem businesses, Harlem Restaurant Row, Harlem restaurants, HarlemGal, Seasoned Vegan Harlem and tagged Harlem, Seasoned Vegan, vegan. Bookmark the permalink. Welcome to my neighborhood! I can’t wait to come over for dinner.